Amber Brown paragraph due TUESDAY!!! You might glean ideas from these worksheets to keep related questions and activities active in your life with your child. Times tables relevant for our US measurement lessons are 12’s, 6’s, and 3’s and 4’s and 8’s, and even 2’s 5’s and 10’s for metric. 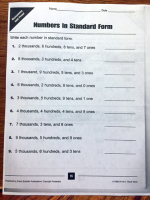 Additionally, Students were given an addition and subtraction page, to make copies of that ask the student to roll dice to solve simple equations. You can play little games like this all the time…. This type of activity will help your child with the memorization of simple addition and subtraction math facts. Please remember that I have already asked you to be working on “doubles”in addition and multiplication. Anna and I work on these a little bit all the time in what we are already doing. (i.e. 8+8, 9+9, 15+15, etc. 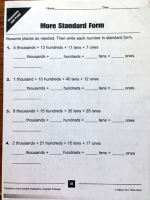 all the way up to 40 for addition, and for all 12 times tables) Also, please pick-up or make flash cardsfor addition, subtraction and multiplication. Ask your child which flash cards theystill need to make…. So far we have done 2s, 3s, 4s, 5s, 12s, 6’s. If those are finished, keep going – 8s are next! Let’s keep that going too…. 1. 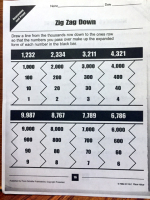 Practice counting up and down (forwards and backwards) using the largest skip counting you can (in tens, hundreds, thousands, ten thousands, and hundred thousands), according to the number. For example: 16,433: Counting up: 34, 35, 36, 37, 38, 39, 40, 50, 60, 70, 80, 90, 100, 200, 300, 400, 500, 600, 700, 800, 900, 1,000, 10,000, 11,000, 12,000, 13,000, 14,000, 15,000, 16,000, 16,100, 16,200, 16,300, 16,400, 16,410, 16,420, 16,430, 16,431, 16,432, 16,433. 2. 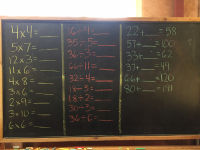 YOU MAY MAKE OR GET A NUMBERLINE, TO HELP YOUR CHILD SEE place value in numbers as they grow to larger and larger quantities (tens, hundreds, thousand, ten thousands, hundred thousands, etc.) Have your child look at a number and be able to say what it is (especially in thousands and up). Work with your child where they are at in being able to do this. 3. You may also dictate the quantity aloud and have your child write them in their journals, and you may also write the expanded form in writing numeric words, and have them solve by writing the numeral in the simplest form. For example: Say aloud: “3 thousand, 4 hundred and twelve. How would you write that?” Do this with simple and with more complex quantities – can even go to hundreds of thousands. If your child is not ready for large quantities, stay with up to thousands – and possibly tens of thousands. 4. TIMES TABLES – WHAT CHALLENGE IS YOUR CHILD WORKING ON? Please read the Amber Brown bookthat I gave out at Thursday’s after school meeting. Upon reading, have your child write in their own cursive writing, into their journal, to the best of their ability, how they can relate with Amber’s situation in the book. Then, you may help them correct their basic punctuation and spelling, and write a final version and artwork in their MLB in beautiful cursive writing. We will share these in class on Tuesday! If your child is needing to practice writing cursive, please keep on with that too! Spelling: Over Winter Break, and ongoingly, please remember to look through your child’s journal each week. There, as well as on the website each week, you will find active spelling words that are relevant to our learning subjects and stories. For children who are early readers, or spelling is challenging right now, please do remember to work with the DOLCH words too. You may find all kinds of resources for them online. Just because we have wrapped up our Measurement Block, doesn’t mean we are finished learning about and experimenting with/experiencing measurement. There are infinite ways we can incorporate these concepts into our children’s lives! We have worked with US linear measurement, US units of capacity, and weight measurement. We have worked primarily with US measurement units, and the metric units have been introduced. Measurement is something that is easy enough for the home school family to work with. It is in some way a part of our everyday life, and we can look for ways to work with it nearly every day. Below is a recipe that we worked with at our supplemental class this week. Children doubled, tripled, and halved it. There are many lessons in doing this. Have fun! Have them actually measure these conversions to figure out, when they can’t picture it inwardly. These lessons are preparing them for formal fraction lessons next school year. Using measurement to understand very basic fractions is hands-on and makes sense. We want fractions to make sense before we start working with fractions as mathematical formulas. YOU DON’T HAVE TO KNOW WHAT YOUR LESSON WILL BE… JUST START WORKING WITH CONVERTING RECIPES AND THE LESSONS WILL PRESENT THEMSELVES. Make lots of great recipes this school year, and double, triple, or half it, if only on paper! Mix butter, sugar and vanilla thoroughly. Sift together flour and salt; add nuts; chill dough. Roll into 1-inch balls. Place on ungreased baking sheet. Bake in 400- degree oven until set and only slightly brown. Roll warm cookies in additional powdered sugar. Cool. Roll in powdered sugar again, if desired. Yield: 4 dozen cookies. We will make our paintings on Tuesday and begin to assemble on Wednesday, hopefully finishing at school by Thursday. If you don’t finish on-time, you may finish over the winter break. These will be a lovely present for someone you love (even for yourself). 2. 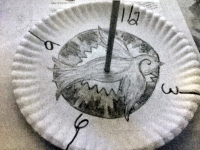 Create a paper plate sundial at home. See attached visual idea. 3. Practice counting up and down (forwards and backwards) using the largest skip counting you can (in tens, hundreds, thousands, ten thousands, and hundred thousands), according to the number. For example: 16,433: Counting up: 34, 35, 36, 37, 38, 39, 40, 50, 60, 70, 80, 90, 100, 200, 300, 400, 500, 600, 700, 800, 900, 1,000, 10,000, 11,000, 12,000, 13,000, 14,000, 15,000, 16,000, 16,100, 16,200, 16,300, 16,400, 16,410, 16,420, 16,430, 16.431, 16,432, 16,433. 4. Have your parents read to you, and write down for you the kinds of number riddles we have been doing this week. (I gave out a work sheet at our meeting after school on Thursday as an example.) Use your jewels and your imagination to solve them. PARENTS: YOU MAY MAKE OR GET A NUMBERLINE, TO HELP YOUR CHILD SEE place value in numbers as they grow to larger and larger quantities (tens, hundreds, thousand, ten thousands, hundred thousands, etc.) Have your child look at a number and be able to say what it is (especially in thousands and up). Work with your child where they are at in being able to do this. 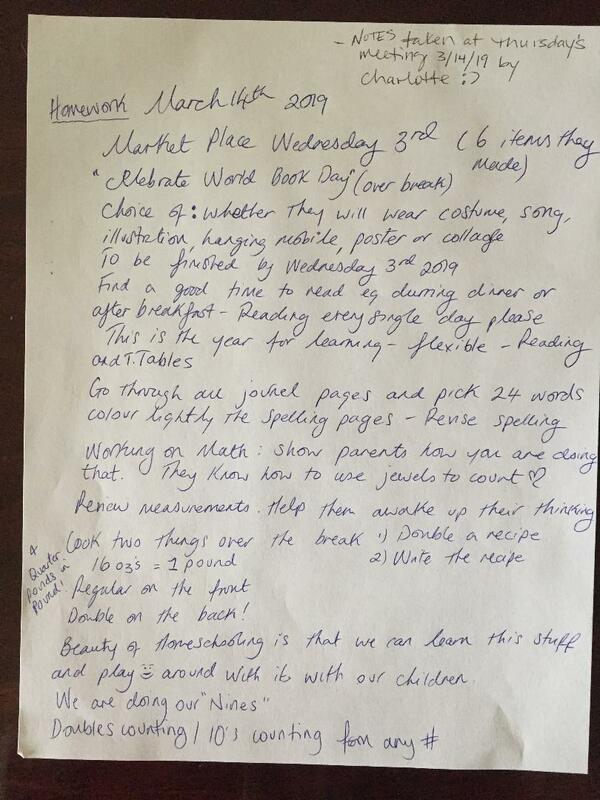 PARENTS: You may also dictate the quantity aloud and have your child write them in their journals, and you may also write the expanded form in writing, and have them solve by writing the numeral in the simplest form. (see example) Most likely, your child will need help thinking this through. Create some time for this over the weekend (at least 2 sessions). For example: Say aloud: “3 thousand, 4 hundred and twelve. How would you write that?” Do this with simple and with more complex quantities – can even go to hundreds of thousands. If your child is not ready for large quantities, stay with up to thousands – and possibly tens of thousands. PARENTS: Please see attached work sheets. I did go over this at the meeting yesterday after school. Please call me if you need support with the concept on these worksheets. Most children use jewels to “rename or to regroup” and come up with the simplest way of writing the number. Start with page 15 and 16, and then go to 51 and 52. 5. GET OR MAKE FLASH CARDS and practice while eating and driving, etc. SIMPLE MATH FACTS: 7+3, 4+9, 4+6, etc. Math facts up to 20 should be memorized by 3rdgrade. I have put this out at the end of last year, and the very beginning of this year. Please keep working this every week. 6. We are also working on DOUBLES especially: 6+6, 4+4, etc. up to 40. 8. FLUTE, FLUTE, FLUTE. WE ARE playing 2 songs at our Winter concert on Thursday after school (Gratitude and Choral of Bells). See videos if you need support. Students have been invited to play or sing solos, duetes, etc. Please be in touch with me if your child is preparing something outside of our class presentations. 9. New spelling words: one, two, three, four, five, six, seven, eight, nine, ten, eleven, twelve, hundred, thousand, ten thousand, hundred thousand. BONUS: Saint Nicholas : ) Write into your journal and practice. Finish round, seasonal calendar, if you have not. Finish “Measurement Terms” page if you have not. Finish “The Standardized Inch” page if you have not. Finish “The Foot and Yard” page if you have not, and mark quarter and half inches on your drawn rulers on this page. Solve any unfinished number riddles in your MLB. 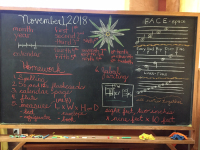 On the “homework tab” on our website, scroll back to see chalkboard writing for any unfinished writing in your MLB, and finish all your writing pages over this break. 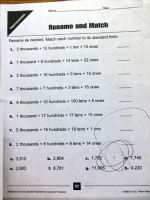 In our recent “Number Dictation”, (place value dictation) please correct the numbers that you checked. Finish your home measurement assignment, if you still need to. Be sure that the following flashcards are completed: 2’s, 3’s, 4’s, 5’s, 12’s. Write about 4 elements of our Makahiki celebration that you liked most? Correct your punctuation in your draft, and then write into your MLB with beautiful penmanship, and illustrate in any way you choose. Write your 6 times tables flash cards. Have your next times tables Challenge ready for Tuesday, November 27. Please measure your kitchen table, smallest window, and largest window in your house. Measure in yards, feet and inches. Measure to the closest quarter inch. 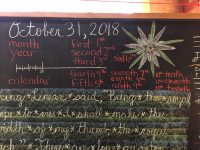 Practice knowing the names of the notes, and how to finger them on your flute , as seen on your sheet music for Gratitude, and It is Fall Time. I surely did miss you this week! I am happy you had a good week with Ms. Hannah, all your teachers, and even Kumu Lei'ohu Ryder! I saw pictures of your harvest from our own garden! Maikahi! Beautiful kalo and uala! We will eat it at our feast! For your homework this weekend, I would like you to practice your Aloha ka Manini hula. Please watch the video. Notice that there are parts of the song where McKayla free-style dances. You may do that too. I understand that we may only dance the 1st two verses, but please practice the whole dance as you see on the video many times. I will see how it looks on Tuesday, and we will decide. Please also practice the hula that Kumu Lei'ohu taught you while it is fresh in your memory! Practice it a lot. She also will be back on Tuesday, so we will practice with her once more. Please practice your flutes many times, so that the song "Gratitude" sounds lovely! There is a video of that for you to watch also. For your written homework this weekend, I would like you to be sure that the following flash cards are complete: 3, 4, 5, 12, and some of you were working on 2. Please bring another challenge this week, of one of these times tables. Pick one and surprise me! Choose 5 spelling words from this year, that are the trickiest for you, and practice them. Tell me what they are on Tuesday. I can't wait to see you in a few days! 1. 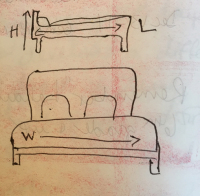 Finish writing “Staying Connected with Paradise” if you need to, and illustrate the human being with the thread of light connecting to the heavenly light. 2. Write “Leaving Paradise” with correct punctuation, and illustrate the Cherubim standing before the gate of Paradise as guardians. 3. Write your 3’s and 4’s times table flash cards. 4. Practice your flute – “Gratitude” song and “It is Fall” song. 5. Beginning readers - read with your parent/guardian/aunty/uncle every day. If you forget your materials to do your homework, call Ms. Kether to make alternative arrangements for getting your homework done. Don't use it as an excuse not to do your homework. I believe in you! 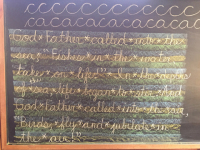 Please see blog for explanation of what Pulelehua class has been up to in class this week. Below is the text for "the edelweiss" that your child may write into their main lesson book in cursive writing, using "sky, sun, earth" "baby bear". They will know what that means. They may also leave room in the corner of their page for artwork for the edelweiss flower. Lilia, Anna, Araeya, and Brie only may write a "draft" into their journals about "the deadly nightshade". For students who have not finished their writings from our different stories this week, please finish that up to over this 4-day break as well! Please help your child practice their spelling words. For beginning readers, use these spelling words to practice phonetic awareness. That is more important than the spelling, for them, but still practice writing and sounding them out as they write them. Can also practice spelling them aloud while sounding them out. ALL STUDENTS: Many children have passed their 2's challenges this week. A few still need to do this! PLEASE BE SURE THAT YOUR CHILD IS READY WITH THEIR 2's CHALLENGES ON TUESDAY!!!!!!!! Practice all of these 4 days off, so that they are solid! The next times table challenge is 3's. Those who have completed their 2's challenges, please move on tho your 3's!!!! We will begin 3's challenges this week. The song to the 3's is "row, row, row your boat". After 3's will be 5's challenges. We are beginning our 4's in class right now. The blessing will be offered at our Makahiki celebration - so practice, practice!